Holy Crap! This game looks AMAZING! 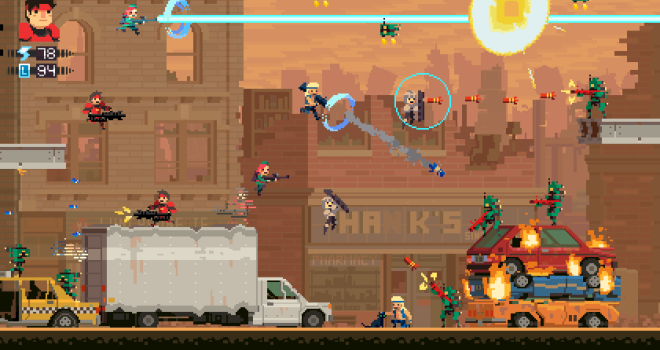 Developer Capybara Games is bringing its radical 2D run-and-gun game, Super Time Force, to Xbox One in addition to Xbox 360, and aims to launch both versions simultaneously. The game will be self-published on Xbox One through the ID@Xbox program and has a new launch window of early 2014. Well, I support your game as it actually looks like the kind of game I really want to play. Can’t Wait.